Rabdi Devi dismissed Samajwadi Party patriarch Mulayam Singh Yadav's praise for Prime Minister Narendra Modi in Parliament. 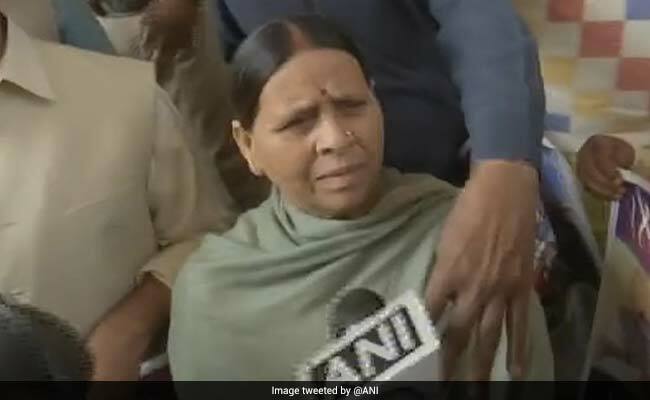 Rabri Devi said Mulayam Singh Yadav's statements have no relevance. A day after after Samajwadi Party patriarch Mulayam Singh Yadav praised Prime Minister Narendra Modi in Parliament, former Bihar Chief Minister Rabri Devi, on Thursday, said Mulayam Singh Yadav's statements have no relevance and his "memory is fading". "Unki umar ho gayi hai. Yaad nahi rehta hai kab kya bol denge. Unki boli ka koi mayene nahi rakhta hai (Mulayam Singh Yadav is old now, his memory is fading. He does not remember what to speak and when to speak. 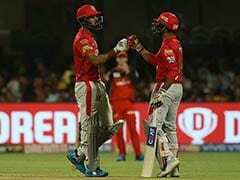 His comments don't mean anything)," Rabri Devi said. Speaking on the last day of the 16th Lok Sabha, Mulayam Singh Yadav, a parliamentarian from Azamgarh district, said, "I want to congratulate the PM that he tried to move ahead taking everyone along. I hope all members to win and return, and you (PM Modi) become prime minister again." His comment sent the house into guffaws. Mulayam Singh Yadav's comment left UPA chairperson Sonia Gandhi amazed, and soon drew a reaction from Congress chief Rahul Gandhi too. Congress president Rahul Gandhi, said he "disagreed", but added "Mulayam Singh Yadav Ji has a role in politics and I respect his opinion". Shortly after Mulayam Singh Yadav's comment in Lok Sabha, posters thanking the former Uttar Pradesh chief minister appeared in Lucknow. "Thank you Mulayam Singh Yadav, today you reiterated the wish of 125 crore Indians in the Lok Sabha," a poster read. Acknowledging Mr Yadav's compliment with folded hands, Prime Minister Modi thanked him twice in Lok Sabha for his good wishes.